Be happy to let them size you up-- generous promotional totes can handle the attention! Soft 12-oz cotton canvas material offers a soft hand with a durable hold for errands and events. Huge bag with generous bottom gusset offers plenty of space for files, groceries or a change of clothes. A huge perk of this reusable tradeshow bag is all the repeat exposure after the event! 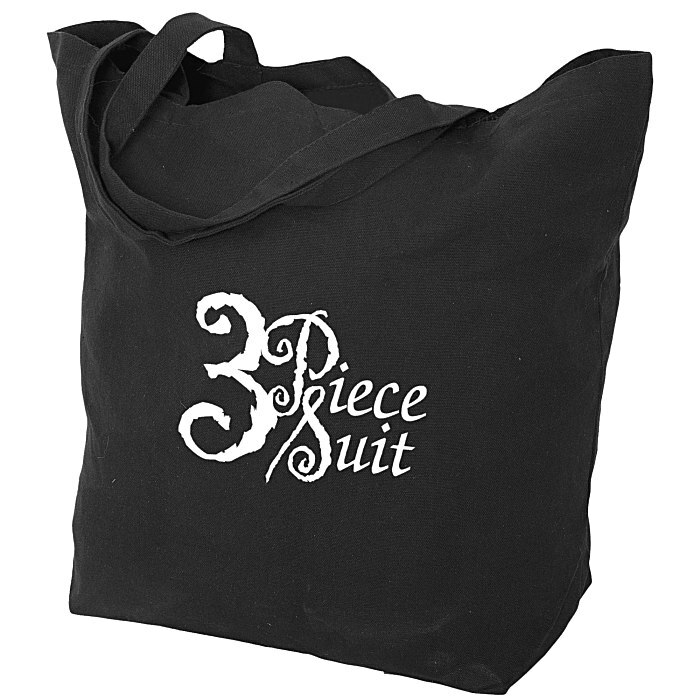 This black tote bag is designed with two 22" self-material handles for comfortable over-the-shoulder carry. Size: 17-1/2" x 20" x 7". Your price includes a one-color on the front of the tote.